Finland’s smaller towns and municipalities are pulling out all the stops to woo potential new inhabitants to take up residence in their communities. From thousand-euro baby bonuses to one-euro building lots, nearly two-thirds of small towns in Finland are turning up the heat in the competition to boost their populations. Impossibly low property prices, breathtaking newborn cash compensations, even generous study grants have now found their way into the arsenal of small towns vying to reverse the flight to large cities and to attract newcomers to settle. According to a new study out by the Association of Finnish Local and Regional Authorities, more than two-thirds of small municipalities are sweetening the pot for potential new residents with dirt-cheap rates on building lots. By contrast baby bonuses -- which generated much media heat in recent years -- are less frequently used as incentives to reel in new settlers or prevent existing residents from looking for greener pastures elsewhere. Smaller cities that resort to paying out cash for new babies born locally also hope to position themselves as child-friendly locations for young families. The size of the cash reward generally varies from a less than 100 euros to 10,000 euros. Situated in central Ostrobothnia on Finland’s west coast, Lestijärvi is one of the country's smallest municipalities, with a total head count of just 815. It currently lingers close to the bottom of Finland’s municipality tables in terms of size – coming in at 326 out of 336 municipalities. 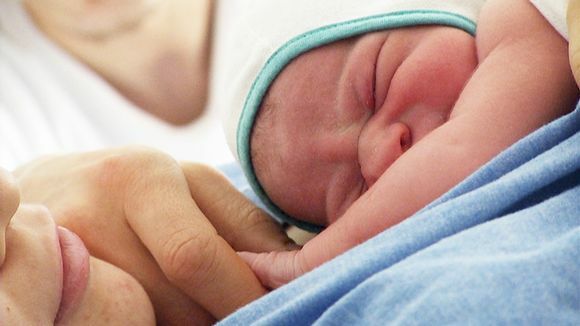 Since 2012, the city has put up a cash bonus of 10,000 euros for each new baby born within city limits. It has continued the practice, and expectant families who settle in the town will also be eligible for the cash in 2016. However, parents (and their babies) won’t be handed 10,000 euros cash on delivery – the sum will be paid out in 1,000-euro increments, ensuring that families put down roots locally. Similarly, the town of Pudasjärvi, also in Ostrobothnia (population 8,406), decided to introduce the plump baby grant when it celebrated its 370 anniversary six years ago. The payout has increased annually and this year babies born in the west coast town will receive a bonus of 376 euros. Other small towns have adopted more down-to-earth practices to reward families who bring new life into their communities. Apple tree saplings, lamb’s wool blankets, local handicraft, cutlery, food baskets for new mothers or even paid hospital care have all become part of the sales toolkit used to boost resident numbers. However according to the Association, many municipalities don’t even have expectant mothers and their newborns on their radar screens, and they receive no extra gifts apart from the statutory newborn starter kit and child allowance benefit. Association spokesperson Merja Olari-Sintonen said that so far no research has been conducted on the effectiveness of the incentives being used to try and boost small town populations – neither is there any way of knowing if they work. She pointed out that Utajärvi in northern Ostrobothnia (population 2,901) gave up the practice of offering building lots for one euro, because there simply weren’t sufficient takers for the cut-rate land. Several other municipalities however, have offered below- market rate land prices for the past ten years, the Association found.